Here's how to configure your 4G, 3G, GPRS, MMS and LTE APN settings with Smart network. You can activate your Smart settings directly fight via SMS and Sim Connect Menu, settings will be automatically sent to your phone. 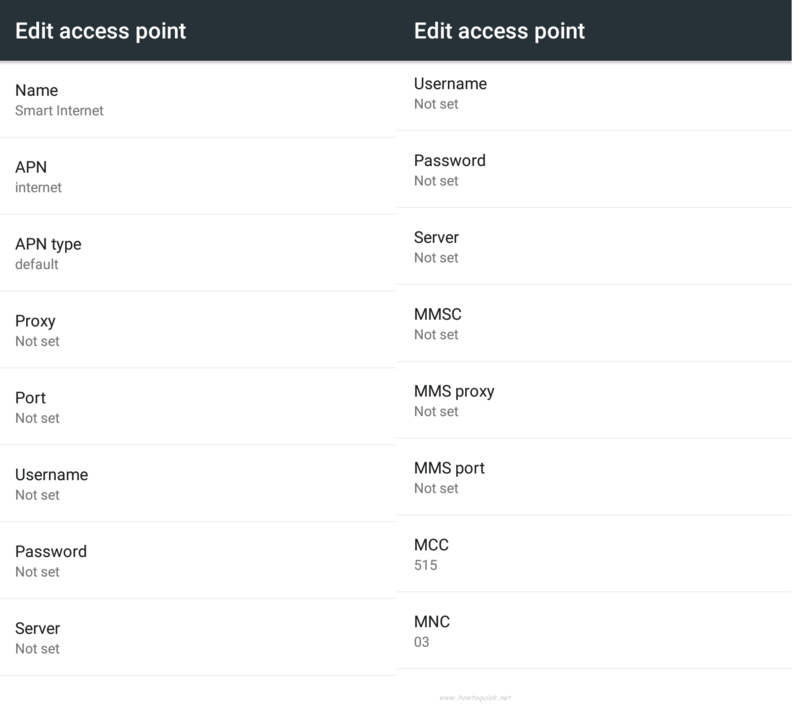 Steps provided below are for those whose want to configure Smart APN settings manually on their mobile phones. Settings will work on any GPRS capable phone, Android, iPhone, Windows and tablets as long as you are using Smart SIM card. Activating this service lets you send SMS, MMS, videos and free internet access on their wap home page the other smart free sites. It also lets you their 3G/4G connectivity or even LTE if it's available on your area. Smart will send you a configuration for your phone. On your SMART menu, choose SIM CONNECT menu, then select MMS/GPRS/3G activation menu. 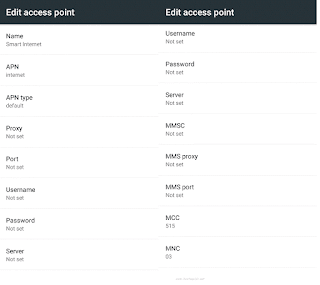 If you're an Android phone user you can check out the guide we posted on Manual Android APN settings. Feel free to post your questions on our comment box below for us and others reference purpose in case you need help regarding connectivity issues on your mobile phone. Will gprs be activated in hspa smartphones? Thanks. How do I get Smart 3G settings on my Note 2? I have already activated GPRS and MMS settings on my phone. But they're not sending me the activation setting for 3G. Help.. Thank you! I registered to OPERA 60 but i cant access to it, I activated my GPRS/MMS/3G but it does'nt work. What should I do ? How will I get gprs settings whiles my APN software is not working or corrupted iwhen i click to open for me to do the settings it does not responed or open? what should i do?. Default PIN not working for me either. I use an Oppo Find 5, and I was sent the configuration settings. I chose Full install (not custom) and it prompted me to input the PIN. I did, but it just keeps asking for the PIN. hi help pls..the 4G is not displayed on my screen. i followed all the instructions here and i subscribe to lte 50 as well ...please help..
no Homepage in CM Flare Lite, where should I put http://10.102.61.238:8002 ? What should I do when it doesn't send me any configuration settings?